We’re an independent, family-run company that’s been serving the homeowners of Yorkshire for over 25 years. As bathroom installers, we take meticulous care of our customers and their homes at every stage of the process. Bathroom planning can sometimes feel like a hassle. That’s why we have a friendly and courteous approach to the process. Our goal is to provide our customers with their ideal bathroom, at minimum cost and zero inconvenience to them. BASI was founded back in 1990 by highly-skilled gas engineer Kultar Singh. Kultar saw a gap in the market for a local, independent gas and plumbing service that had the capacity to provide exceptional, year-round customer care. Built upon his passion for providing honest advice and affordable solutions, BASI Heating grew into one of Yorkshire’s most trusted central heating suppliers. The BASI team then saw how this unrivalled approach to customer service could be applied to bathroom planning. Championing straightforward, helpful service and high quality workmanship, we’re now regarded as leading local bathrooms installers. From your very first call, right through to our courteous staff who visit your home, expect only the highest standard of care and service. We’re extremely proud of the fact we make the bathroom planning process as easy as possible for our customers and provide a friendly and responsive service 365 days a year. Leaving our customers happy is our passion and, quite frankly, it’s why we do what we do! Looking for ideas, not sure where to start, or interested in our latest bathroom planning advice? 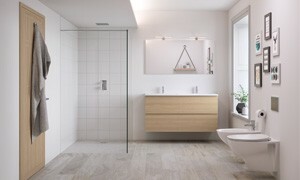 Take a look at our most recent updates, style guides and how-tos in the Bathroom BASIcs blog.